Today I'm giving you a little tour around the Christmas Decs in our house...now don't be expecting anything subtle - that is NOT my nature when it comes to Christmas! 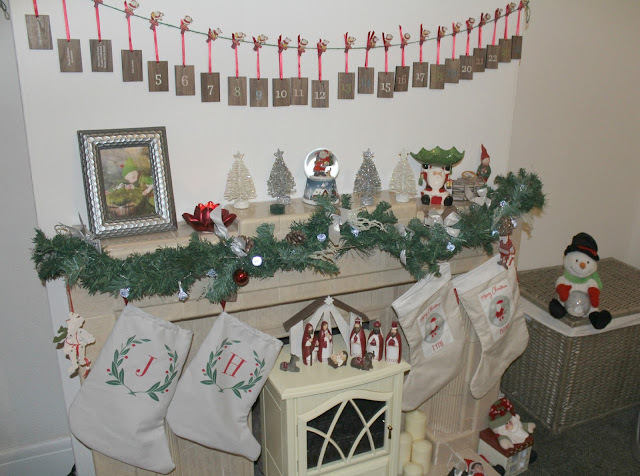 You can call it austentatious, but to me it's a case of MORE is more when it comes to Christmas and I will pretty much decorate anything that stands still for long enough! 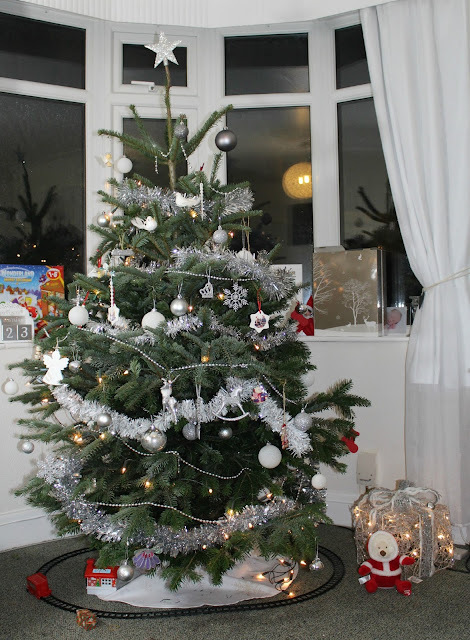 As I mentioned in my Festive December post, our tree this year is once again from Pines & Needles who provide a real, top of the line high quality tree delivered to your door - Our delivery was nice and straightforward, no fuss...just a beautiful tree delivered to our door - perfection! 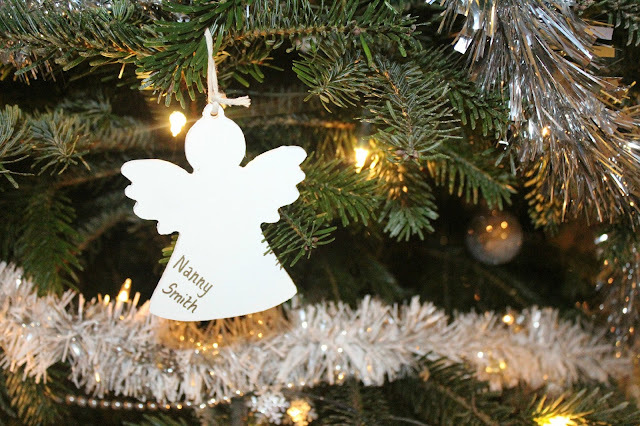 This year I chose a white & silver theme for the tree - there are one or two other colours in there as some decorations are too special to me to leave off, but it's mostly white & silver. I know that tinsel isn't very on trend at the moment but to me it's just not a Christmas tree without tinsel, it has to be done! We have our little Christmas train around the bottom, but to be honest it's mostly empty tracks as the train itself always seems to find itself off being played with somewhere by a certain train-mad 2 year old! 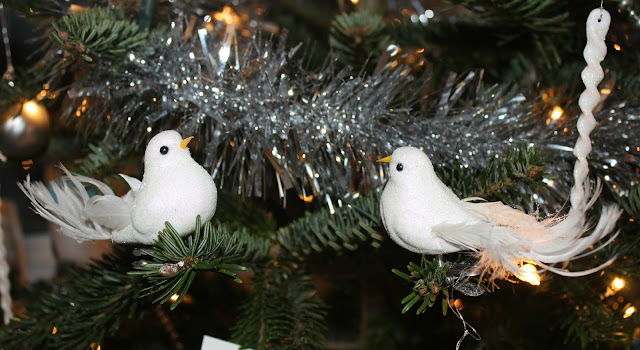 The Turtle Doves were something I bought during the first Christmas Jon & I celebrated together in our first home, they represent us! 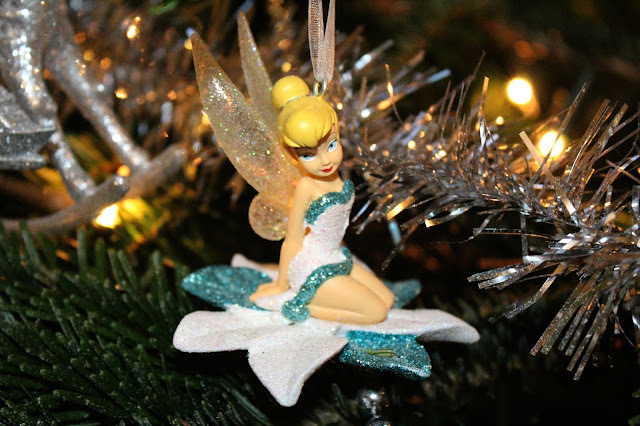 This Tinkerbell decoration was a gift from my sister a few Christmases ago, she's from their trip to Eurodisney and I just love her....Tinkerbell is my favourite Disney character! 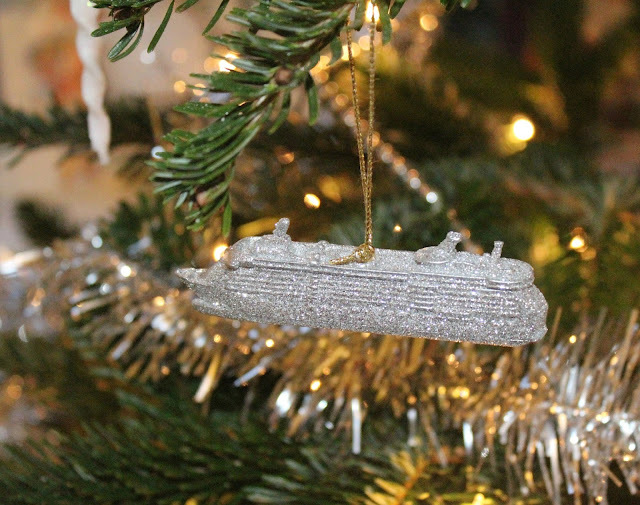 I bought this cruise ship decoration during my holiday on the Royal Carribean independance of the seas cruise ship which was the best holiday I've ever had! 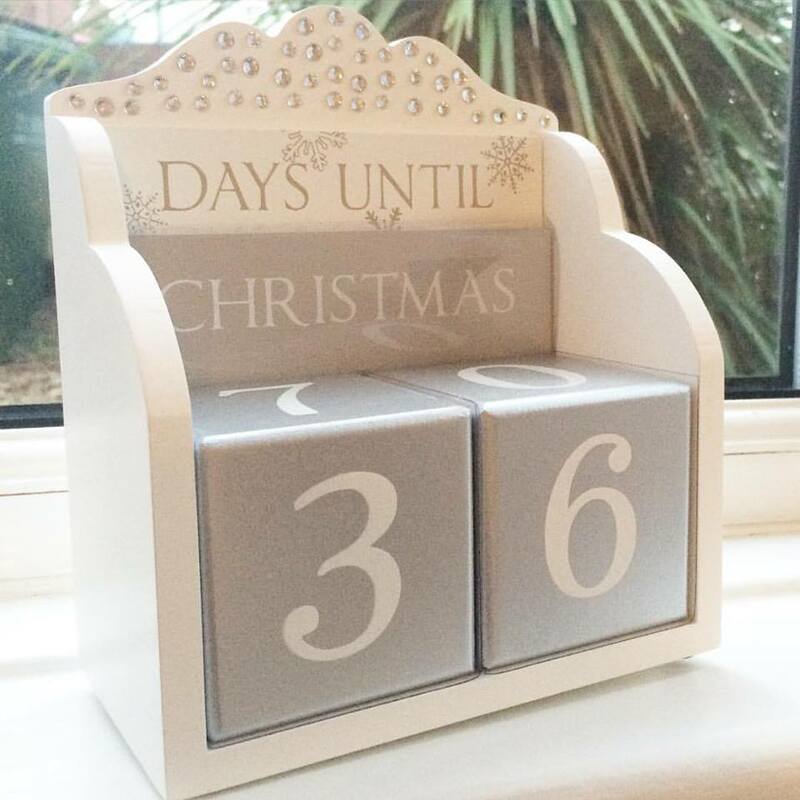 The cruise was in February but when I saw this in the shop I knew I'd want this reminder of it every Christmas!! I love it!! I made this angel in memory of my Nan who died a couple of years ago, it always makes me smile when I see it on the tree and remember her. 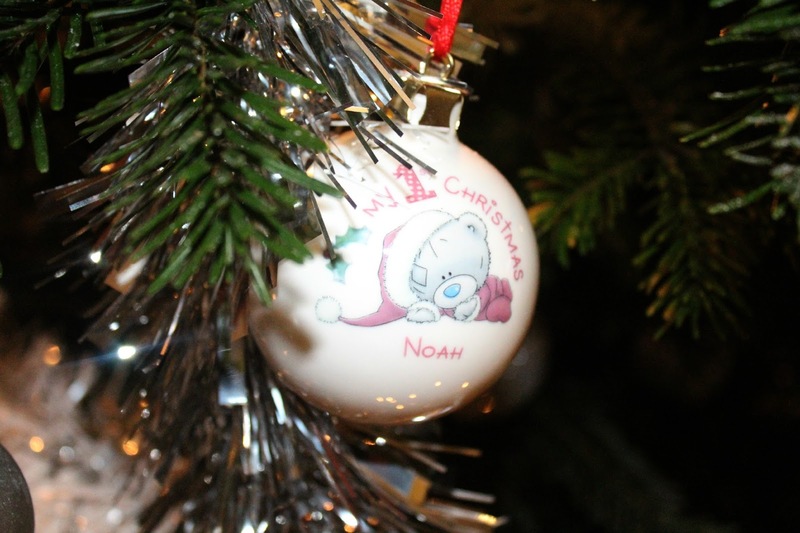 This year we've also added some new ones, these personalised baubles for Tyne and Noah were from Personalise.co.uk - I think they're really sweet and I love the fact that they're matching Tatty Teddy designs! 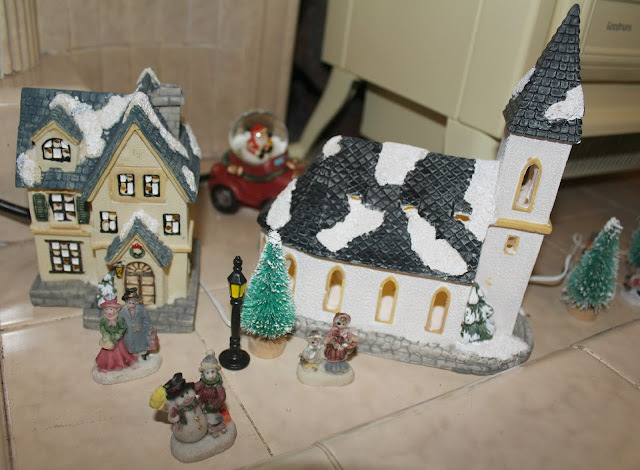 I don't have a great deal of light up decorations around the house (though I do intend to decorate the outside eventually! 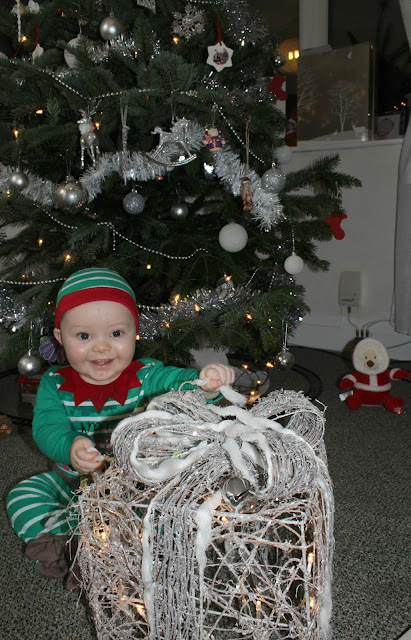 ), but I do love this battery lit present - and as you can see, Noah enjoys it too! 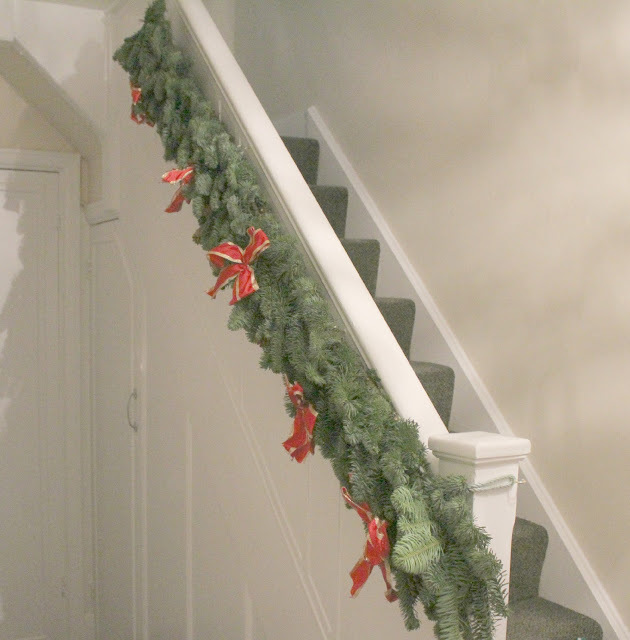 This year we also have a real 6-foot long pine garland going up the bannister - I love this touch, it's so bushy and just screams CHRISTMAS as soon as you step inside the front door! It came ready decorated with the red bows so it was just a case of putting it up! 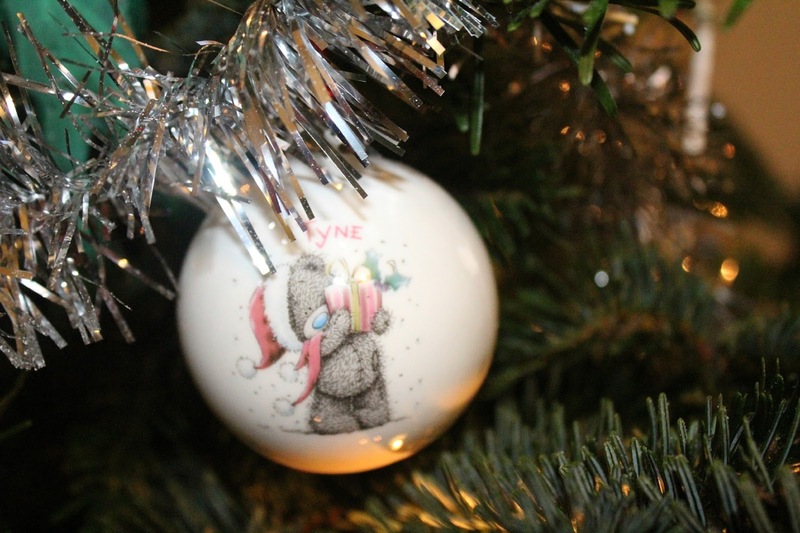 This was also from Pines & Needles and was delivered along with our tree. 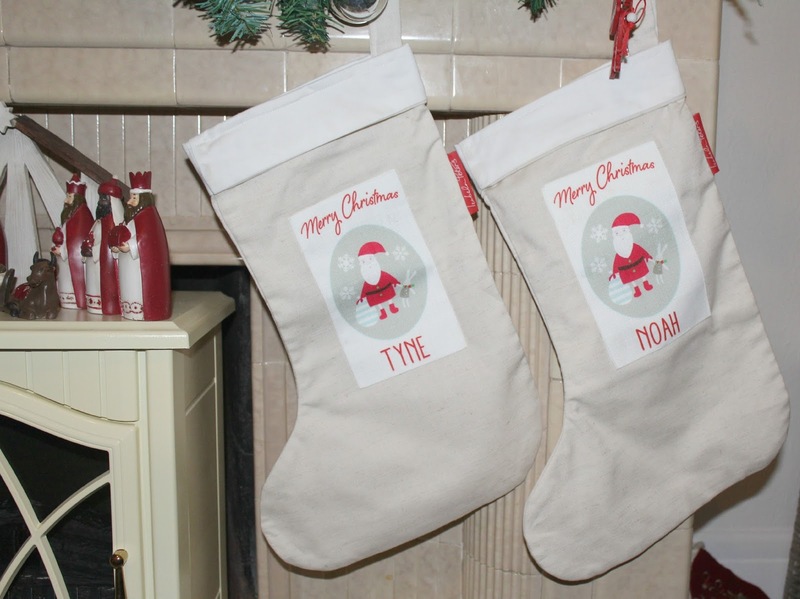 I love a festive fireplace, so that's where I focus my decorative efforts in the living room - we have a garland above it, and our stockings hung ready for Santa - Jon & I have our Zazzle monogrammed stockings and the kids have their personalised ones from Izabela Peters. 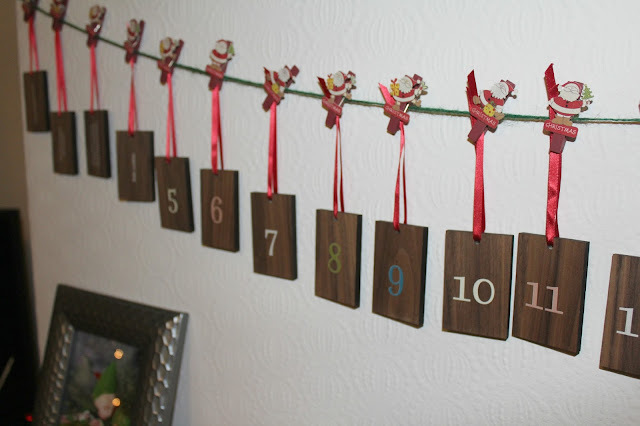 We also have something new this year in the form of a traditional wooden activity hanging advent calendar! I absolutely love this - it is such high quality made from walnut wood, and comes attached to ribbon ready to be hung on the Christmas tree or wall - I chose to hang it above the fireplace using little Santa pegs! Each day has a festive activity suggested on the reverse - such as "Learn a new Christmas carol", "Make a Christmas decoration" or "Bake cookies" etc - I think it's such a lovely idea and we have really been enjoying using it! 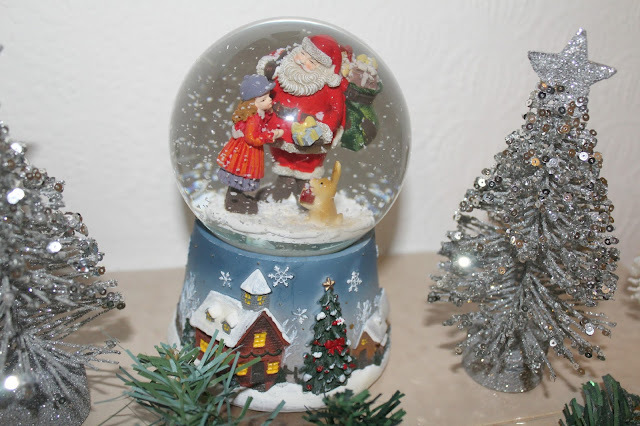 I've been on the hunt for a nice Snowglobe for a few weeks now and was really struggling to find one I liked, but I spotted this one in The Range recently and it was exactly what I wanted - it plays Christmas music and looks lovely and festive atop the fireplace! 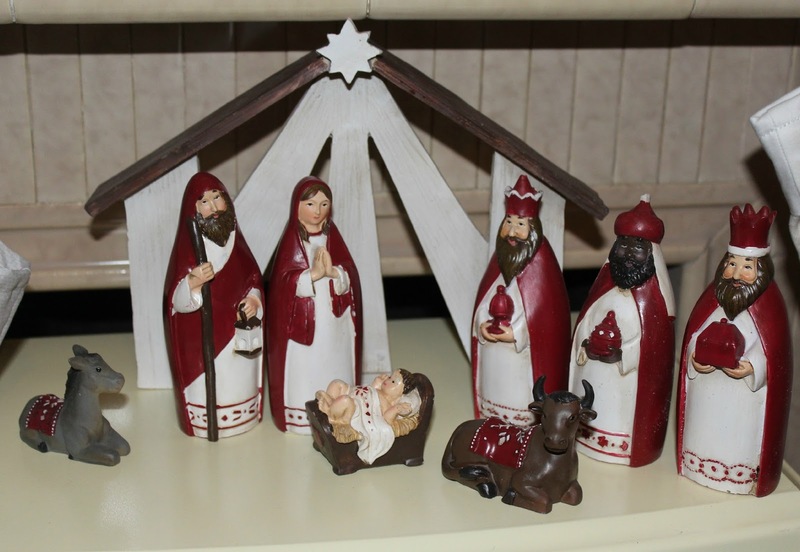 Of course Christmas Decor wouldn't be complete to me without a proper nativity scene, so this takes pride of place in the fireplace! 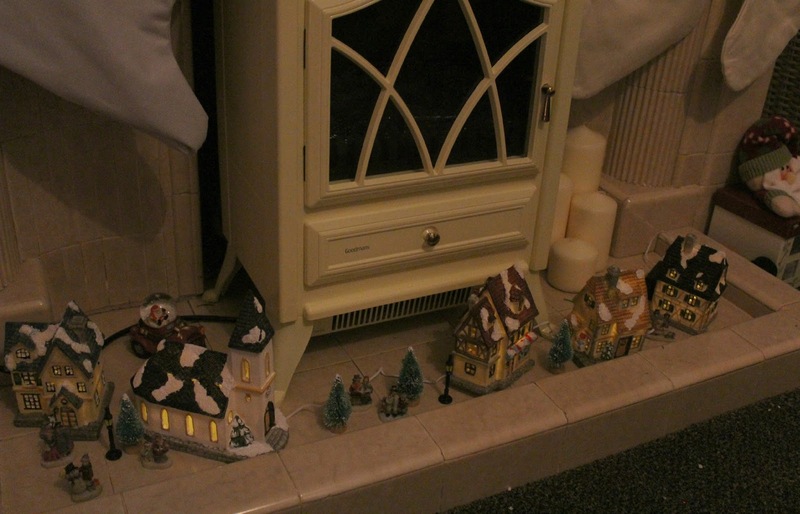 Last year Jon also purchased a lovely little light up village scene, which I think is just so cute! It's comprised of little houses, a church, and carol singers! 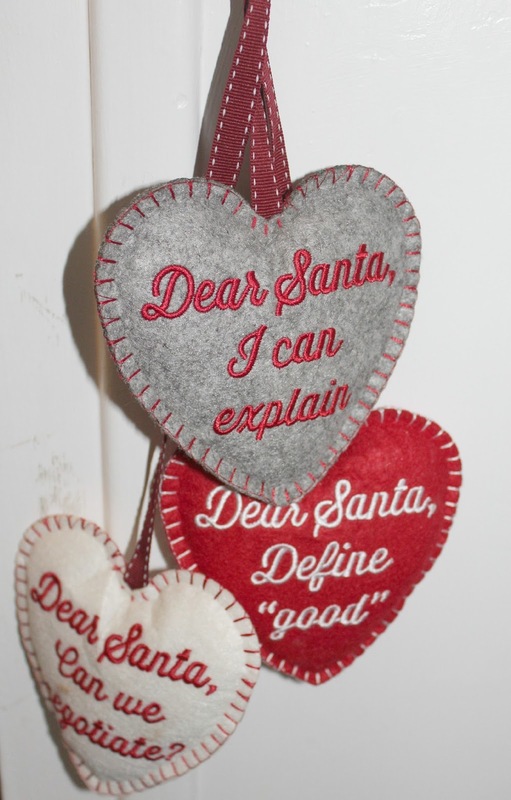 We also have our Christmas Family Rules sign and hanging felt hearts from Next. 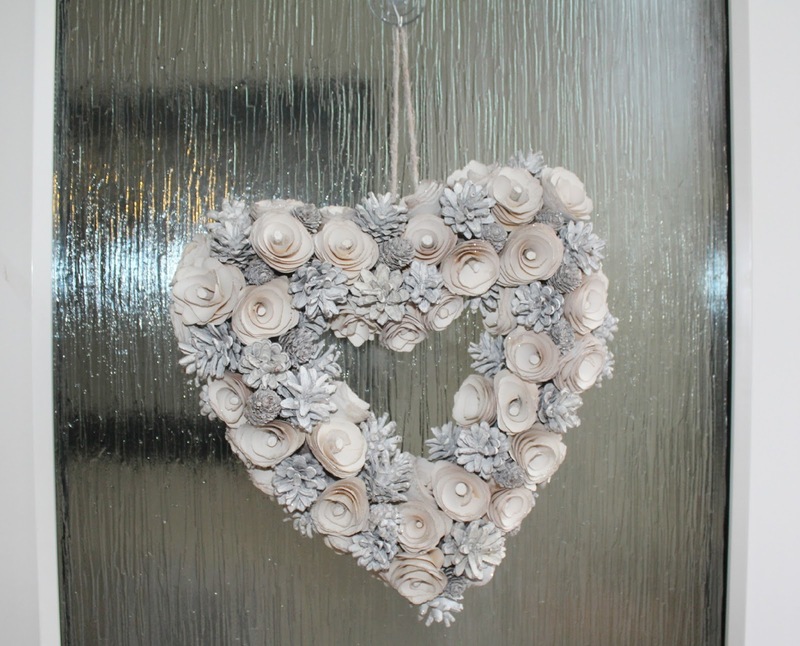 And I love our snowy wreath which I picked up at a local Christmas market last year! 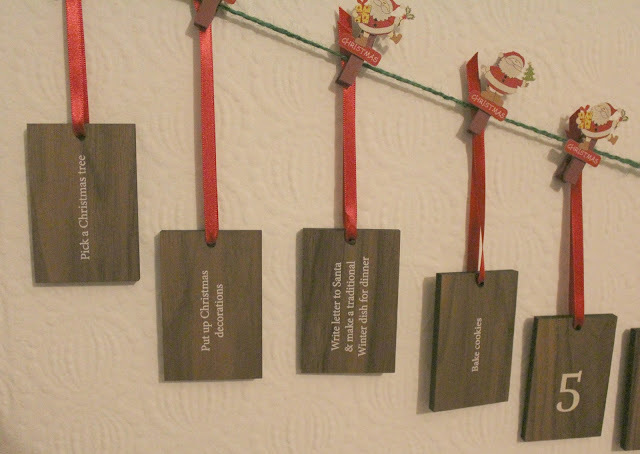 So there you have it, our Christmas Decs tour for 2015! What are your favourite Christmas decorations in your house? As always, I'd love to hear from you! 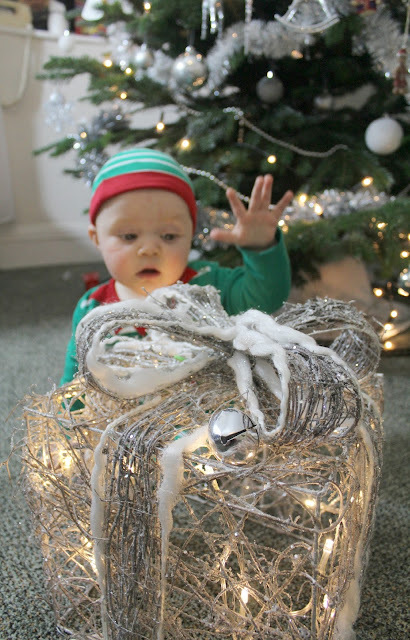 Your decorations look lovely, certainly put mine to shame. 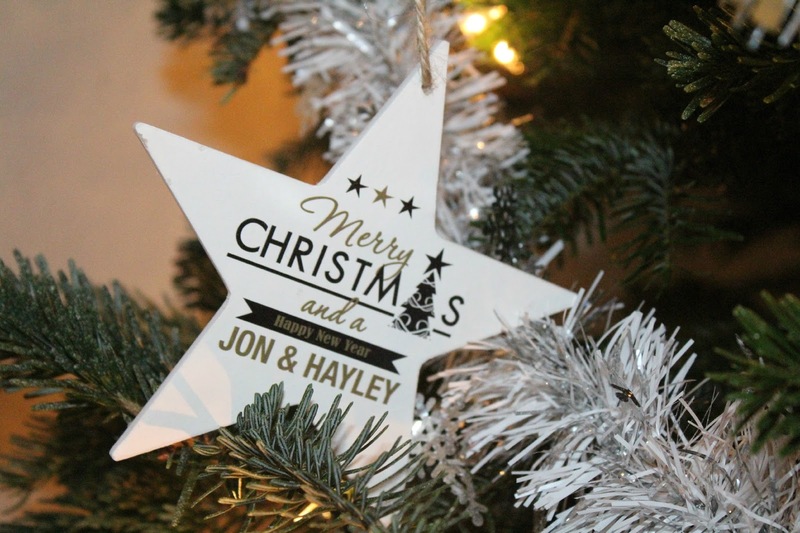 We have a few personalised decorations on our tree. We went to The Range at the beginning of December and I picked up a father Christmas glitter lamp that turns different colours, Joey loves looking at it. Woah, you really went all this year. I love the selection of decoration. I kept mine very simple of course a Fake tree. Real tree would be amazing. I love the smell of it. This was really lovely and I enjoyed reading and looking at the pictures. Thanks for sharing a small part of your Christmas.